ATLANTA — Phillips Connect Technologies, a division of Phillips Industries, is preparing to launch a technology platform that integrates the growing number of sensors and smart components available for trailers. TrailerNet will be an open system that consolidates all of a trailer’s sensors, regardless of the supplier, into one central hub using a single data plan, the company said. 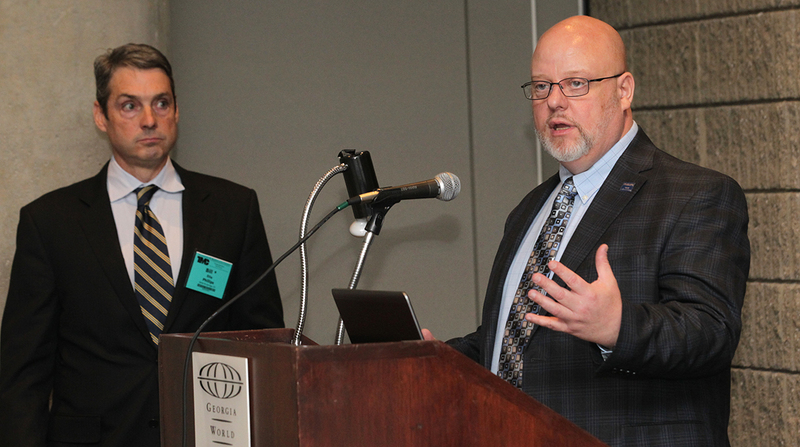 At a March 4 press conference here at the Technology & Maintenance Council’s annual meeting, PCT said it has formed partnerships with 16 smart component manufacturers thus far to integrate their sensors with TrailerNet. TrailerNet will tap into these third-party sensors to capture data such as wheel-end temperature, tire-pressure levels, trailer location, geofencing, electronic driver logs and cargo sensing. It also will use a proprietary Phillips system to confirm whether the trailer is locked or unlocked. Currently, a trailer with five smart components from different suppliers might require five different subscription plans. Consolidating those systems not only makes the information easier to manage, it makes it less expensive by eliminating multiple data plans, PCT Managing Director Bill Ellis said. PCT plans to launch TrailerNet in the fourth quarter.